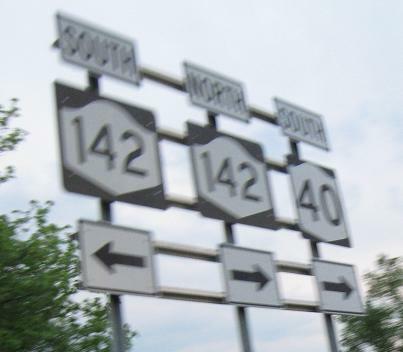 New shields next to the proper style show you how far off NY 142 is. Then NY 40 becomes skewed in its own right as it enters Brunswick, because suddenly it's a county route (but still technically NY 40 all at the same time). 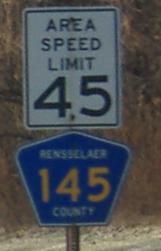 It's only posted as CR 145 all through the town. 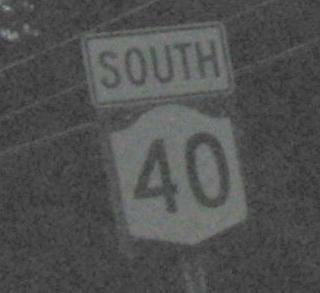 NY 40/67 SB/WB in Schaghticoke, just like the photo at the top of the page. If I ever delete this caption, I won't be able to spell that town again. 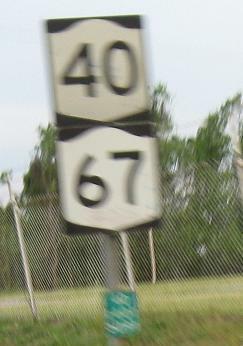 NY 67 is the dominant route by the posted reference markers even though 40 runs straight through while 67 turns twice. NY 40/67 SB/WB and NB/EB at the bridge across the Hoosic River south of Schaghticoke. Okay, I just can't delete both captions. 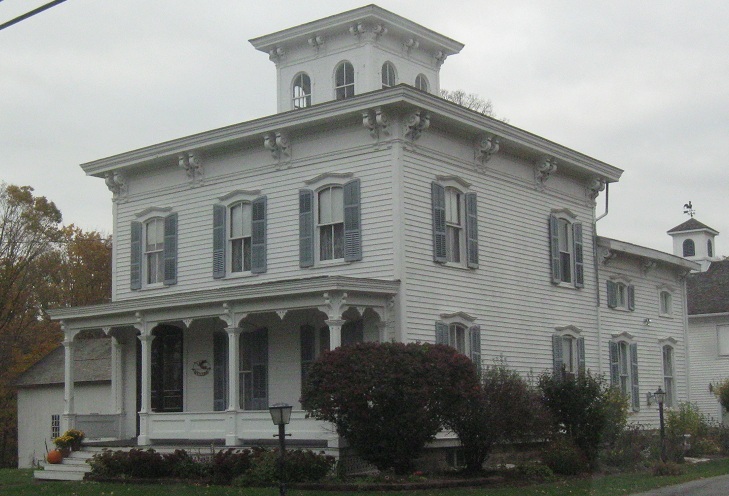 A view of the bridge from the south on Main St. in early dusk and late dusk. Well, actually, they were taken at the same time (7:49 PM on May 23). Camera settings and all. 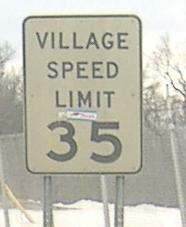 The warning sign on the tail end of Main St. SB. This slightly bulbous concrete post is just before you get to the Hoosic River bridge heading NB/EB. 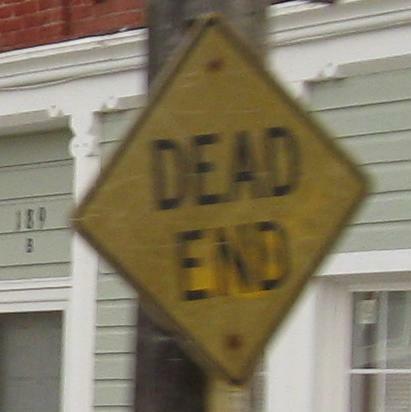 Is it a remnant of an old milemarker? 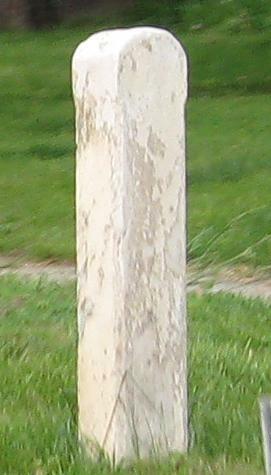 A property line or a boundary marker? A gravestone for a very skinny person? Sunlight's not fading that fast, but as dusk starts to set in, a small adjustment in camera settings produces a big change in the results. 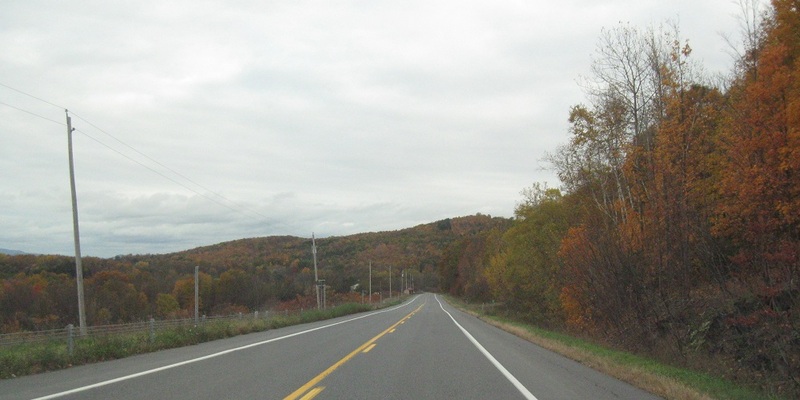 Starting off in Argyle and heading north through Hartford, with fall colors all the way, first to the east, and finishing to the west.